Gorgeous grey goes with everything. Select one of our made-to-measure blinds in this neutral shade for long-lasting looks. Discover modern geo prints, pretty pleats and delicate sheers in soft pastel hues. Pair grey wooden blinds with white walls and statement furniture for a stylish Scandinavian vibe. This goes-with-everything shade works in every room of the home. View our range of grey Roller blinds, ideal for a touch of grey. 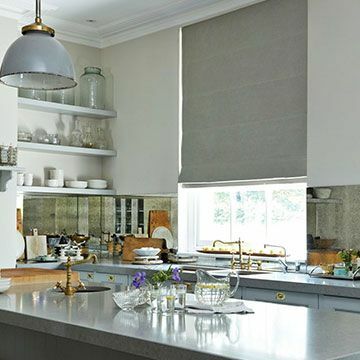 View our range of grey Roman blinds, perfect for any room looking for a touch of grey. Grey Venetian blinds create a variety of moods in your home interior. Light greys provide a modern alternative to classic neutral palettes. 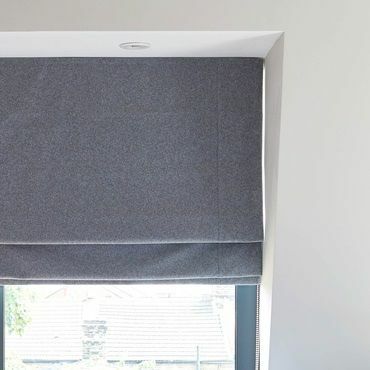 View our range of grey blackout blinds, perfect for any room looking for a touch of grey. Create an authentic Modern Rustic look in your home. We share the key design elements of this natural look to help you design your own unique take on this textural trend. Get the Modern Rustic look with stunning curtains & Roman blinds from our new collection. Browse our inspirational interiors to find the perfect look for your home. Grey blinds are an established choice for a sophisticated finish. Our range brings together classic looks and a few contemporary surprises to offer something for every décor. In our collection you’ll see a selection of plain grey blinds in light and dark tones. But you’ll also find patterned grey blinds in the mix. Is yours a classical, contemporary, understated or cottage-style home? Depending on your décor, you could go for grey blinds with prints inspired by traditional tailoring. That’s the thing about grey blinds: they go with oh-so many colour schemes and styles. You could treat dark grey blinds as the accent in a bright room, or pick a shade that totally coordinates with your interior. Browse our blinds for more ideas. 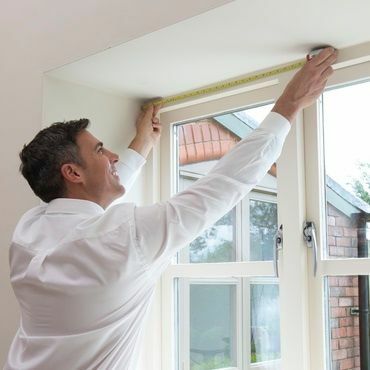 Can you ever be 100% sure your grey blinds are perfect for your home? You can with Hillarys. That’s because when you book a free home appointment, your local advisor will come to you with our entire range. So you can browse grey blinds in comfort and see which designs truly go with your décor. During the appointment, your advisor will be able to offer you practical advice and style tips to help you choose the right grey blinds. Your advisor will also measure up and give you a no-obligation quote to consider.